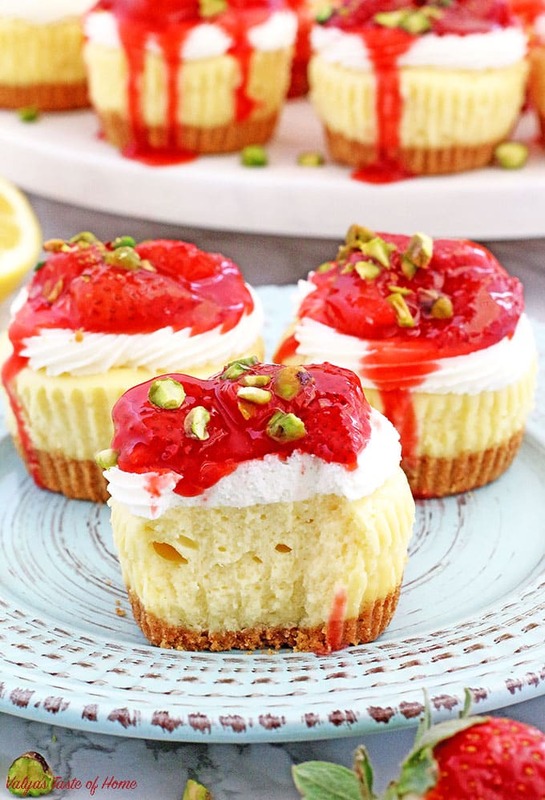 These Strawberry and Cream Mini Cheesecakes not only delicious but just too cute to eat! 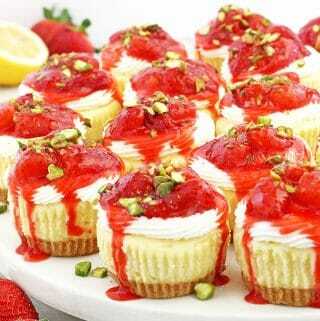 They consist of creamy cheesecake filling, topped with tasty soft cream and chunky homemade strawberry sauce. 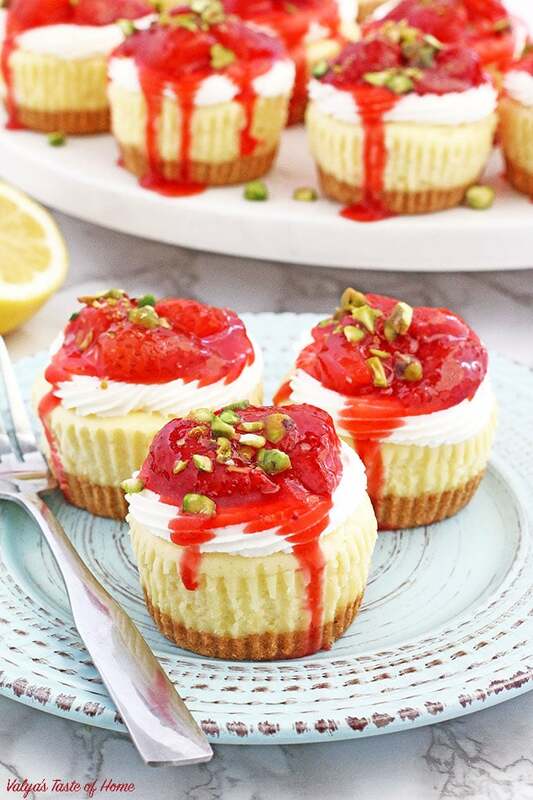 Sprinkled pistachios not only finish the beauty of these mini cheesecakes but gives delicious nutty flavor too. Since cheesecakes need to chill in the fridge overnight they can be made ahead of time. Also, you can make the chunky strawberry sauce in advance and refrigerate until you are ready to top the cheesecakes. 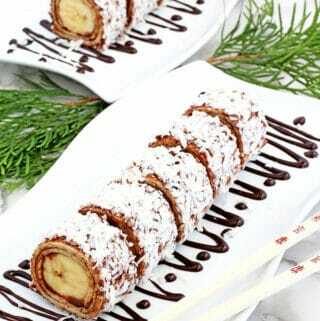 Graham Crackers – Use best quality of graham crackers as it adds a lot of flavor to the cheesecakes. Unsalted Butter – Salted butter will work as well. 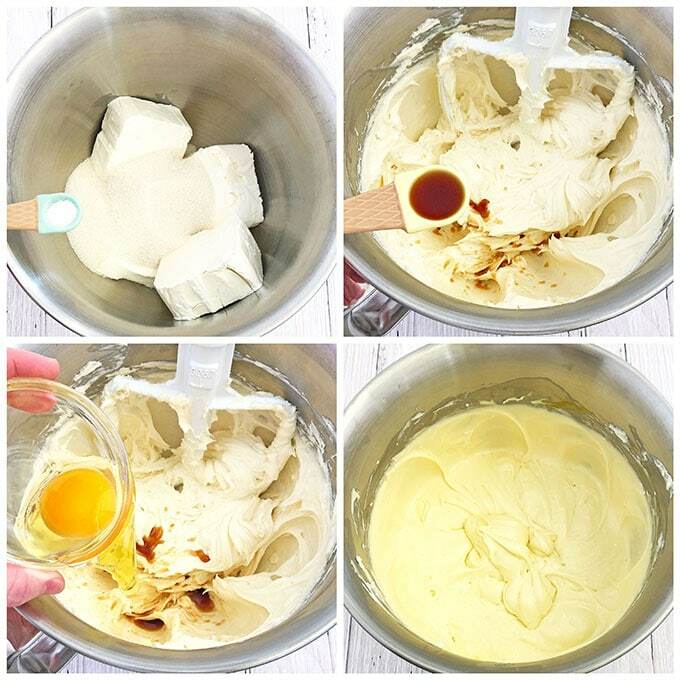 Cream Cheese – Soften cream cheese so there are no clumps in the cheesecake batter. 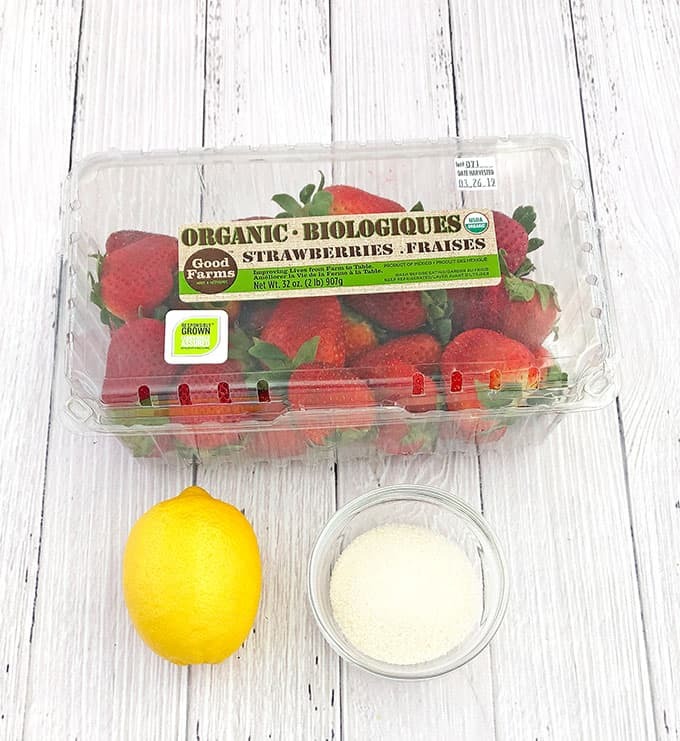 Organic Sugar – I always use organic sugar, but regular white granulated sugar will work. 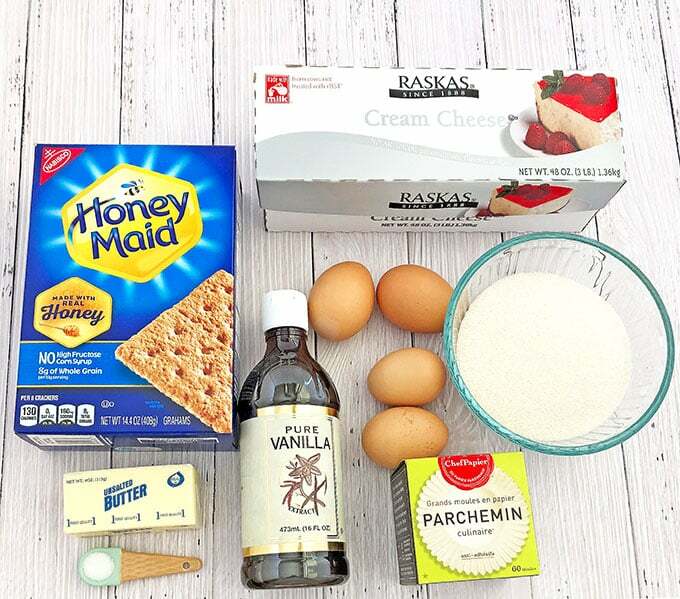 Eggs – I always use home eggs (that’s why the cheesecake batter is more yellowish then if you were to use regular store-bought eggs). Use organic eggs for best results, but regular eggs work well too. Sea Salt – I like to add a bit of salt to the cheesecake batter as it busts flavor and reduces the sweetness. Pure Vanilla Extract – For flavor. 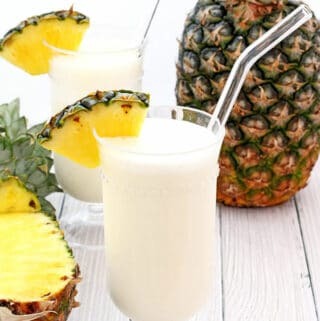 Corn/Potato Starch – Its totally optional and you can omit it. The starch adds a bit of thickness to the sauce. Strawberries – I love homegrown strawberries. But if they are not in season organic strawberies are the best sabstitute. 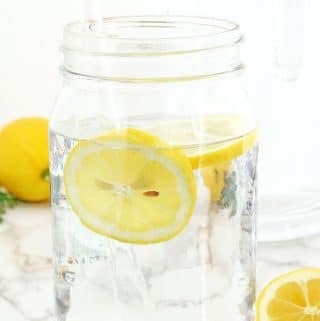 Lemon – Lemon adds flavor and thickness to the sauce. 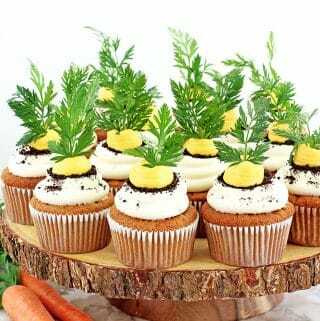 Organic Sugar – I prefer to use organic sugar, but white granulated sugar works as well. 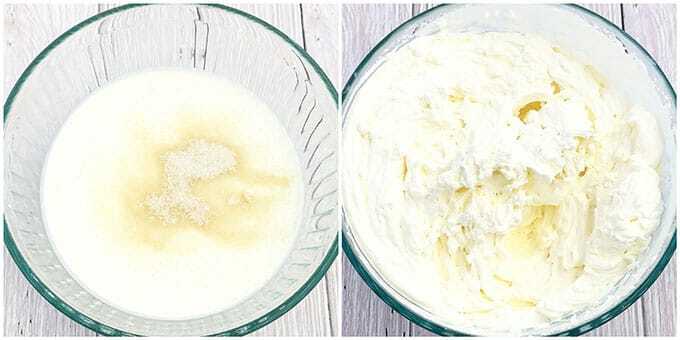 Heavy Whipping Cream – I love using 40 % fat consistency heavy cream. Organic Sugar – Again, my preference of using organic, but you may use regular granulated sugar as well. 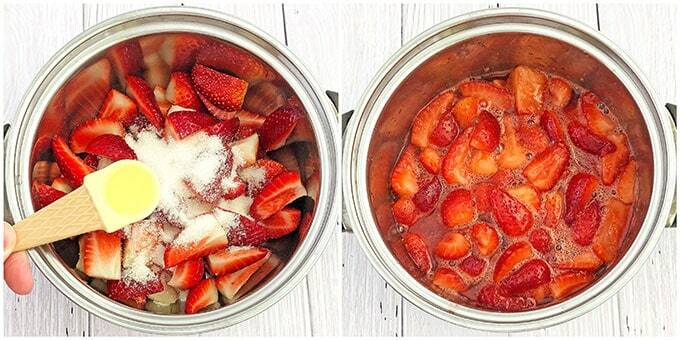 Rinse strawberries, cut each one into 4 pieces and place them into a small saucepan. Add sugar (combined with starch, optional), lemon juice and place the saucepan onto the stove top and bring it to a boil stirring constantly. As soon as the sauce comes to a boil remove from the stove and let cool completely before topping the cheesecakes. Using a food processor pulse graham crackers into fine crumbs. Then add melted butter and pulse once more for 30 seconds or until well combined. Preheat oven to 350 F (180 C). 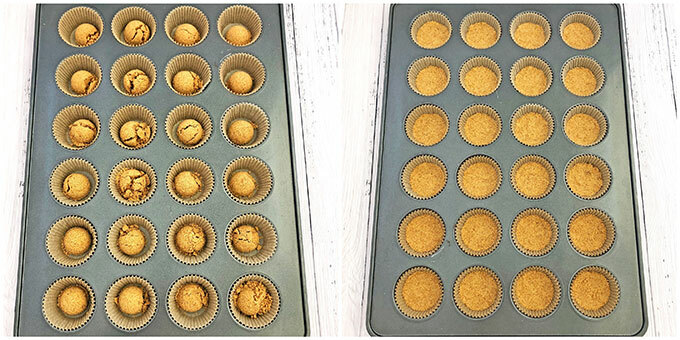 Line 24 count muffin pan with paper liners and divide crumbs (about one tablespoon full per liner) evenly between 24 liners. Press the crumbs firmly into each paper liner using the opposite side of the measuring spoon. Set aside until ready for use. In the bowl of Kitchen Aid standing mixer combine softened cream cheese, sugar, salt and beat on high for a couple of minutes. Scrape the cream cheese down of the sides of the bowl for smooth texture results in between mixing. Next, reduce the mixing speed to low/med and add pure vanilla extract and one egg at the time (the total of 4 large eggs). Scrape down the mixture of the mixer bowl in between mixing to ensure everything gets well combined. Finally, using 1/4 cup ice cream scoop divide batter in between 24 cupcake liner evenly all the way to the top of the paper liner. 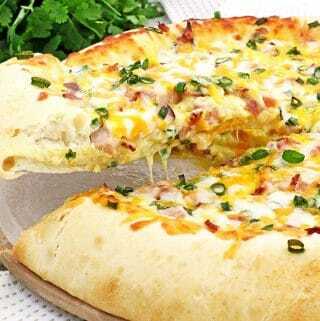 Bake in preheated oven for 18 to 20 minutes. Slight cracking is totally normal. 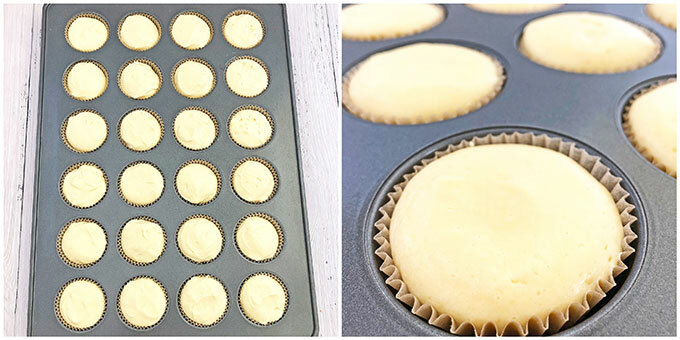 Carefully (prevent shaking) remove baked cheesecakes from the oven and let them cool in baking pan to warm. Then remove baked cheesecakes from baking pan and cool completely before topping them with cream. Combine heavy whipping cream and sugar in a small bowl and beat on high until just thickens. Pipe cream on top of each cheesecake. 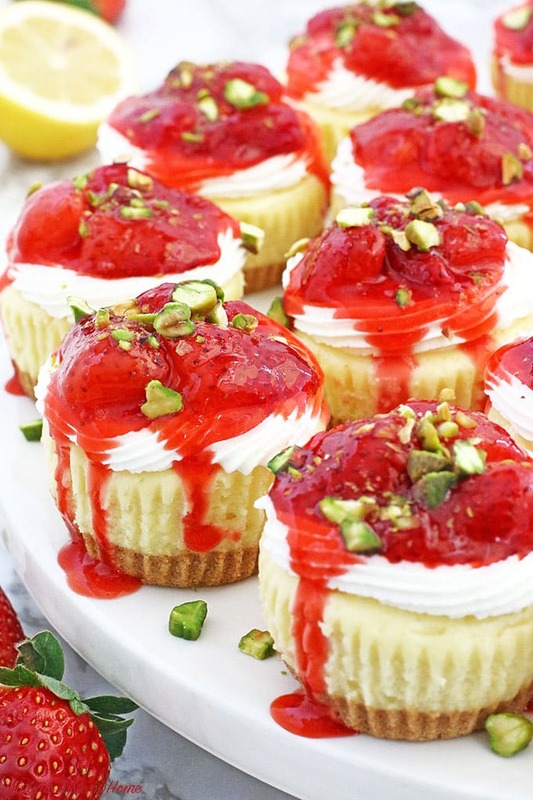 Top each cheesecake with chunky strawberry sauce and sprinkle with crushed pistachios. Keep the cheesecakes in the container with a lid refrigerated for 3 days. Using a food processor, pulse graham crackers into fine crumbs. Then add melted butter and pulse once more for 30 seconds or until well combined. To speed up the cooling process you may place the cheesecakes in the fridge. Also, you can serve these cheesecakes in the liners. 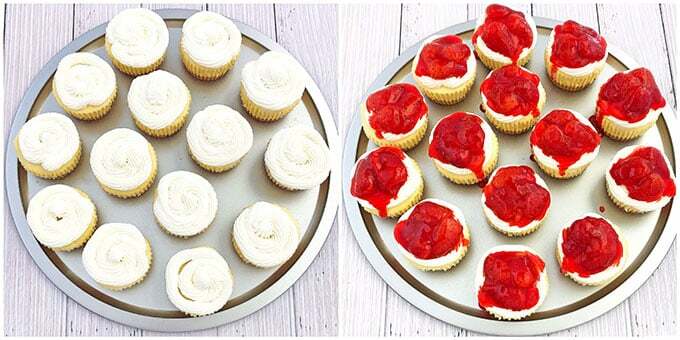 However, if you prefer to remove them, place cheesecakes in the freezer for 20 to 30 minutes. Remove liners before topping with cream and sauce. I prefer cheesecake chilled to go along with a delicious cup of homemade Latte. 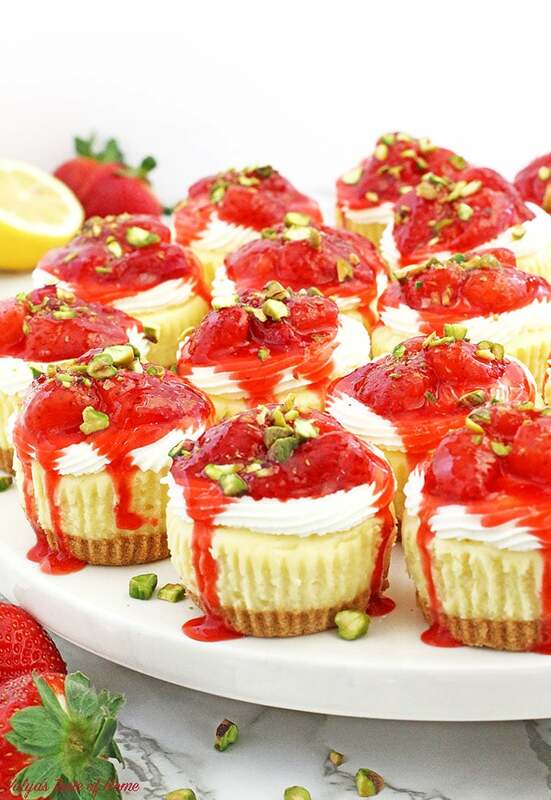 Love these Strawberry and Cream Mini Cheesecake? Please Save and Pin on Pinterest!